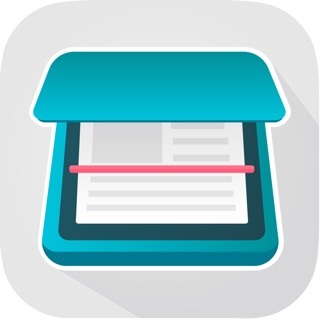 - Import any types of documents (Dropbox, iCloud, Google Drive, Box or any other source). - Track sent documents status via fax app. - Cost per page (0,15 USD - 0,4 USD) depends on how many credits you buy at once. Ready to get started? Download "FAX from iPhone - send fax" today. Start sending faxes right now! I don’t know how this app could be any cheaper or easier to use! I needed to send a fax to our government tonight and of course I don’t have an analog phone so I don’t have a fax machine either. It’s cold out and I did not feel like going to someplace to pay a lot more money to use their fax machine, possibly have to wait in line and hopefully everything will work. The important document I just sent out cost me all of $.40. Sure, I bought $10 worth of credit but I know I will be using them in the future. Having said this I will admit that I am only once in a blue moon faxer so I can understand some of the other remarks but this is perfect for my use. I also read some of the reviews on other apps and it sounds like there are some real clowns developing these apps and I got to tell you this app does exactly what the developer promised. A great app that could be awesome with a couple of changes. I really needed to FAX some papers in a hurry and being in a small town in the middle of nowhere there really isn’t options, so I decided to see if I could find a way to fax straight from my device and I found this App. I love that you can send a fax in minutes from anywhere on your devices. I also absolutely love that I can pull documents from just about any other app! This made it easier and faster due to needing to fax documents that I had in multiple apps in one fax. I am disappointed in not being able to see the pages that were previously faxed. Also, that I had to buy more credits than I needed instead of just paying for just what I needed faxed at the moment. I would most likely change my rating to a 5 star if these things were implemented. Thank you for leaving the review and thank you for using our application. Our aim is to provide you with the best possible fax experience and we will always look forward to make further advancements in application. Trying out this app in comparison to another fax app I was using, this one works fine and does the basic task of scanning and sending a fax, however the app is extremely barebones. Seems all you have the option to do is “buy credits” and fax, doesn’t provide you with a history of docs (even the prior 1 or 2 you might have faxed) that would be beneficial for you to refer back to as a resource. I was surprised that I also couldn’t get to a space where I had set up my profile info when I first signed on and downloaded it. Overall, if you’re looking for a basic I just need to fax a few things app, then this one works fine, if you need something a bit more robust, say fax review or the ability to cancel a fax if you enter the wrong number, etc., this isn’t the app to go with. I ‘ll be moving on looking for another fax app once I deplete the credits I have in the bank. Thank you for leaving the review. We always look forward to provide the best fax experience possible and will definitely be making more advancements in our application in future.